One week down, fifty-one more to go. I feel like I can’t possibly be the only one who felt like the first full week of 2016 took its sweet time to land on Friday evening. It’s been one of those weeks were I was living for the weekend—I can easily say I had major trouble motivating myself out of bed to go to work in the morning five out of five work days. Rough. On the plus side, making it through the work week means weekend brunch. I love brunch. More specifically, I love brunch foods. Even more specifically, brunch foods featuring eggs (although I do love me some fluffy pancakes and Belgian waffles!). So to share this love of mine, I invited a small group of friends over for a post-NYE brunch last week featuring a spread of some mealtime favorites. 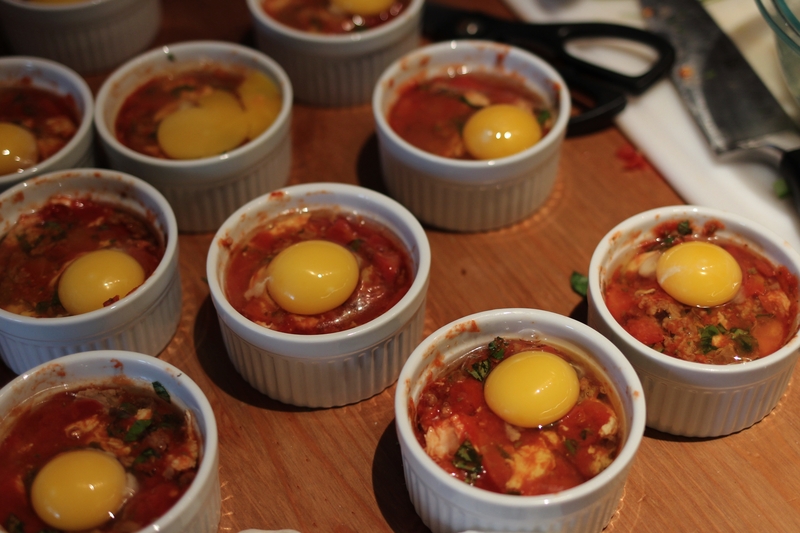 The individual baked eggs landed at the top of the guest feedback list, which is to no big surprise. 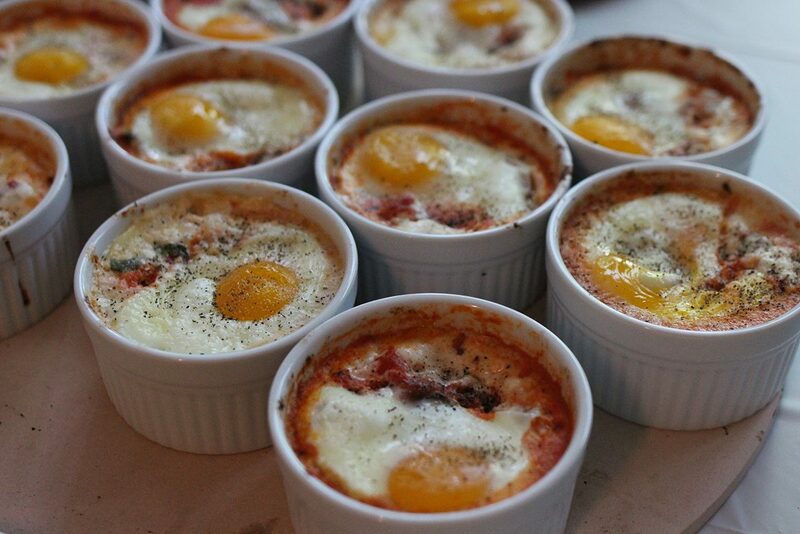 Personal ramekins filled with crushed tomatoes baked with melty mozzarella, fresh basil, crumbled Italian sausage, and all under a cracked egg with a runny yolk. If I’m being completely honest, I’m not the biggest fan of egg yolk but I ended up downing every last drop from my ramekin! Here’s to the first of many brunches and homemade creations in 2016! 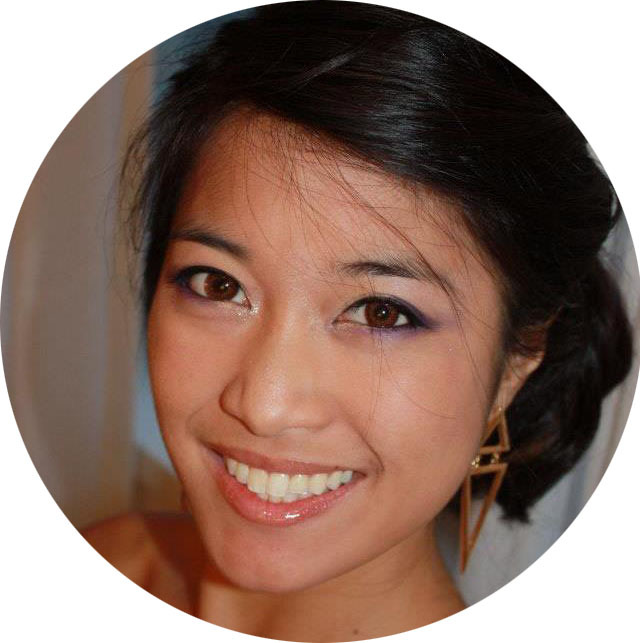 Thanks for dropping by, and remember to look out for information about the upcoming penny for her thoughts 1-year giveaway! 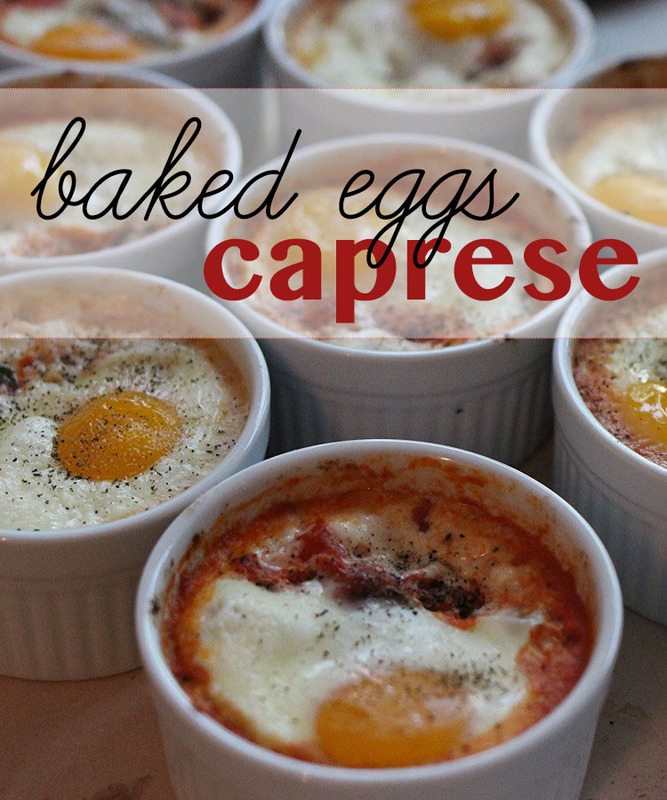 Easy and delicious brunch dish featuring baked eggs in crushed tomatoes, fresh basil, buffalo mozzarella, and a hint of cream. Individually portioned in ramekins. 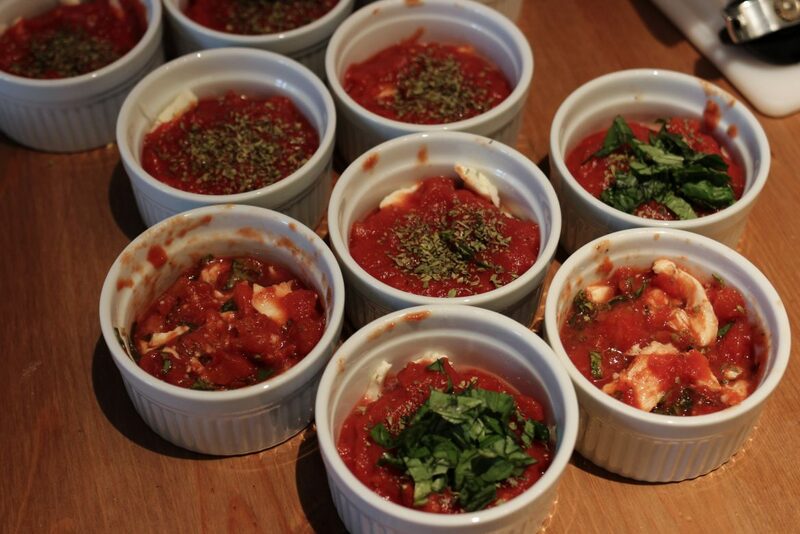 Divide diced tomato, mozzarella, basil, and crushed tomatoes evenly among the four 6-oz ramekins. Sprinkle oregano, chili flakes, salt, pepper into each ramekin. Mix. 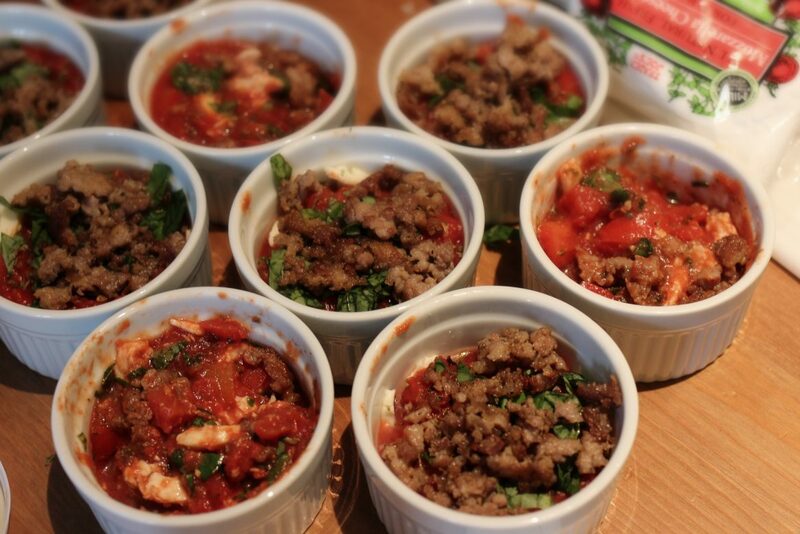 (Optionally) Divide a portion of cooked Italian sausage among the 4 ramekins. 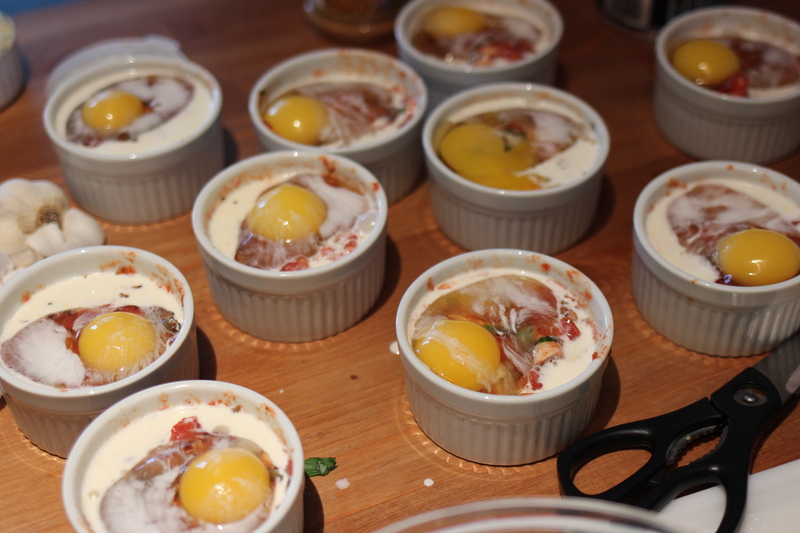 Crack an egg atop each ramekin. (Optionally) Pour heavy cream over each egg for a slightly creamer tomato base. Arrange on a baking sheet and bake for ~15 mins, until egg whites are cooked but yolk remains runny. Remove from oven and let cool for 2 minutes. Sprinkle with extra pepper and serve immediately. This can easily be made into a vegetarian dish by omitting the addition of meat. I am making theseeeeee right now!!! yummmmm, thanks for sharing,gh im hungry,xoxo BING.